CONGRATS TO OUR 2018 LEADERSHIP ACADEMY GRADS! This year, we launched the Housing Up Leadership Academy for staff to increase their professional knowledge and leadership experience. During a six month term, the seven-member inaugural cohort improved their communication and leadership skills through hands-on learning experiences. Academy participants attended bi-weekly workshops on a variety of topics, including conflict management, business writing and problem solving. Participants also attended cross-departmental workshops led by Housing Up staff members. The 2018 Leadership Academy ended earlier this month, with all seven participants successfully completing the program. 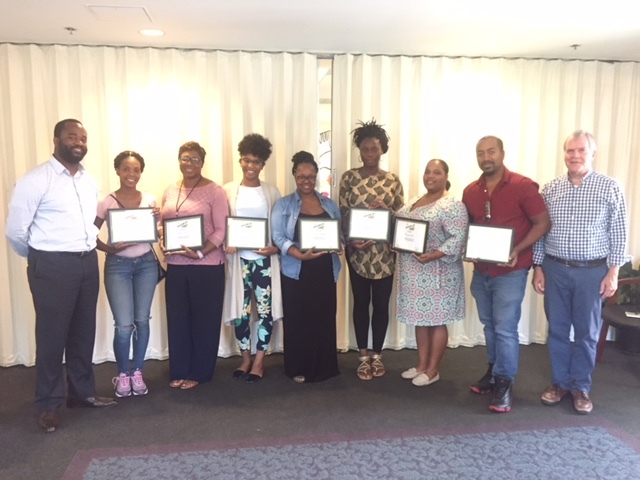 Congratulations to Kristina Harvey, Deitra Fant, Tamara Mason, Larnetta Matthews, Nouria Bonkoungou, Beryl Smith and Jeffrey Johnson on your hard work!